Hi Holly. What made you choose the University of Brighton? I chose to study at the University of Brighton for a few reasons: it is fairly close to my home, I love Brighton as a city, the course seemed interesting and the staff were very friendly and open. And what made you choose Media Studies? I chose BA (Hons) Media Studies because media studies was my favouite subject at school and throughout my A Levels and the course at Brighton offered a lot of interesting modules within it. I loved the vast majority of topics. A lot of the time, my university studies did not seem like work to me – more like pursuing a passion. Of course, there were times of stress and topics I disliked, but overall, I just liked studying the course. My second year placement was at a small, Brighton-based documentary distribution company called EspressoTV. I learned a lot about the formatting of television programmes and how companies sell to one another. It was also my first experience of employment. I was unsure whether or not I could do it! However, I survived and was really proud of myself. I liked that the University did a four-week placement rather than taking a compulsory sandwich year to do it. I felt it was enough to learn and get a taste of the media industry without interrupting our studying flow too much. Would you recommend the University of Brighton? I have already recommended Brighton to people I know! I think the university’s major selling points are its open and friendly atmosphere, its location and its wide range of courses (especially in the arts). 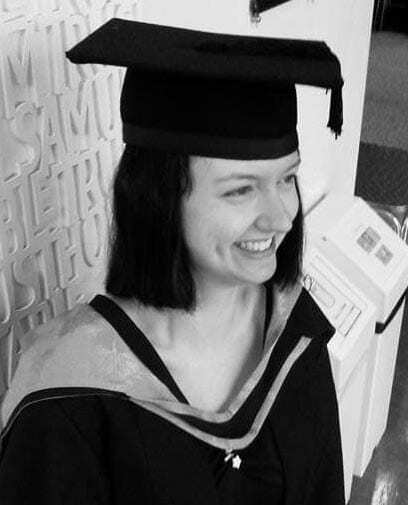 I returned to Brighton the year after I graduated with my BA(Hons) degree to study MA Creative Media (now called Digital Media, Culture and Society). I enjoyed studying for my undergraduate degree and wanted to delve further into media as a subject. I also wanted to make myself more employable in an increasingly competitive job market and challenge myself as a person. I really enjoyed the detail of the MA, and again, had many great topics to explore. I also liked the flexibility of the course – I was able to switch from full-time to part time study really easily. How would you reflect on your time at university overall? My time at the university allowed me to grow as a person and really opened my mind up to the world and different ways of thinking. It allowed me to challenge myself in so many ways. It was very difficult and stressful at times, but I am really glad to have had the experience. Take a look at our Media Studies courses. This entry was posted in Media and tagged culture and society, holly smith, MA digital media, media at brighton, media studies.